Vogue Sourcing is Manufacturer, Supplier, Exporter of Ladies Casual Wear. Our Garment factory make Ladies Casual Wear in various designs, colours and sizes. Ladies Casual Wear is made as per customer's custom style and design. Our offered Ladies Casual Wear is made in high quality international standard. Best Ladies Casual Wear Manufacturers in India. 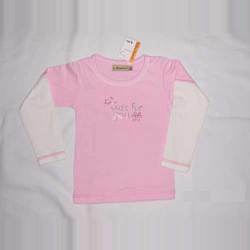 We are presenting a quality tested assortment of Ladies Casual T-Shirts. The products we offer are widely demanded by the clients for their availability in various sizes and designs. Moreover, our products are designed under the skilled expertise of our professionals, as they hold expertise in domain. Due to our enormous understanding and massive knowledge of this business, we are involved in offering Men's Casual Pant. In order to keep pace with the never-ending demands of customers, we are involved in offering a wide range of Men's Casual Pant.